This fall, Showtime will be heating up your Sundays. The network has announced the premiere dates for Dexter and the breakout hit, Homeland. Everyone’s favorite serial killer is teaming up with the world’s most paranoid CIA agent. Save the date! Dexter Morgan (Michael C. Hall) and Carrie Mathison (Claire Danes) are heading back to Showtime. The network has announced the return dates for both Dexter and Homeland, which will debut this fall. Both shows begin airing all-new episodes starting Sunday, Sept. 30. Dexter will kick things off at 9 p.m. ET/PT followed by Homeland, which will air at 10 p.m. ET/PT. The former is entering its seventh season, while the latter is in its second. According to The Hollywood Reporter, Dexter and Homeland have been ratings gold for Showtime. 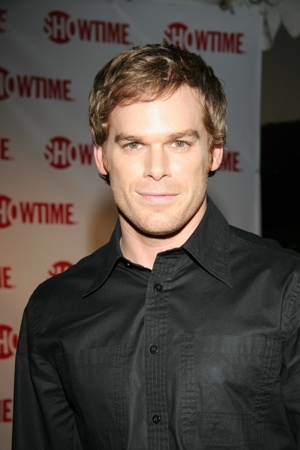 Dexter is the network’s highest-rated show averaging 5.5 million viewers each week. That’s pretty impressive considering how long its been on the air. As for Homeland, it averaged 4.4. million viewers during its first season. And became a commercial and critical success for the network. At the 2012 Golden Globes, the series earned awards for best performance by an actress in a drama (Danes), and best television drama. At the end of season one, Homeland’s main characters were at a crossroads. Brody (Damian Lewis) refused to go through with a terrorist plot, while Carrie was undergoing shock treatments to treat her mental disorder. Talk about drastic. On Dexter, things took a creepy turn when Deb (Jennifer Carpenter) caught her brother red-handed doing what he does best — killing. Now that Dexter’s secret is out how will she react? Will Deb’s lusty feelings for her adoptive brother subside? We sure hope so! In terms of production, Homeland will shoot in both Israel and North Carolina, while the Miami-set Dexter continues to film in Los Angeles.